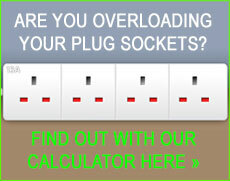 Why to choose us as your local Richmond electrician? When looking for a qualified Richmond electrician at DKP Electrics we are regarded as highly professional electricians. We are also a NICEIC Approved Electrical company awarded with all the necessary certificates of qualification, that will carry out all electrical work to the highest standard of quality and in compliance with the latest wiring regulations. If you've got any electrical faults that you need fixing or anything you're concerned about then now is the time to get things checked out. If you ignore any electrical issues, even minor ones, they could escalate into much bigger problems in the future. we offer a 24 hour emergency call out service for any electrical faults and can have a qualified electrician on your door step in no time at all in Richmond, and many other areas of South West London. As experts in Richmond properties, due to the high quality and extreme specifications involved when carrying out work on many of its riverside mansions, we've taken our expertise to the highest level on many occasions. Dkp Electrics have an expert team of electricians in Richmond who specialise in the more detailed and complicated projects that can arise. Tasks such as laying underfloor heating and in many cases installing CCTV that can be accessed via the internet from your computer or smart phone, are all jobs that need completing from start to finish to the highest standard at all times. Another service we are proud to offer at dkp Electrics is energy saving services. If you need some help or advise in reducing your energy bills or maybe you are interested in having solar panels installed on your roof then our highly skilled team will be able to assist you with whatever your requirements could be. With high energy prices set to stay, energy saving is one service we highly recommend.